Here's this quarters fun tote bag project. 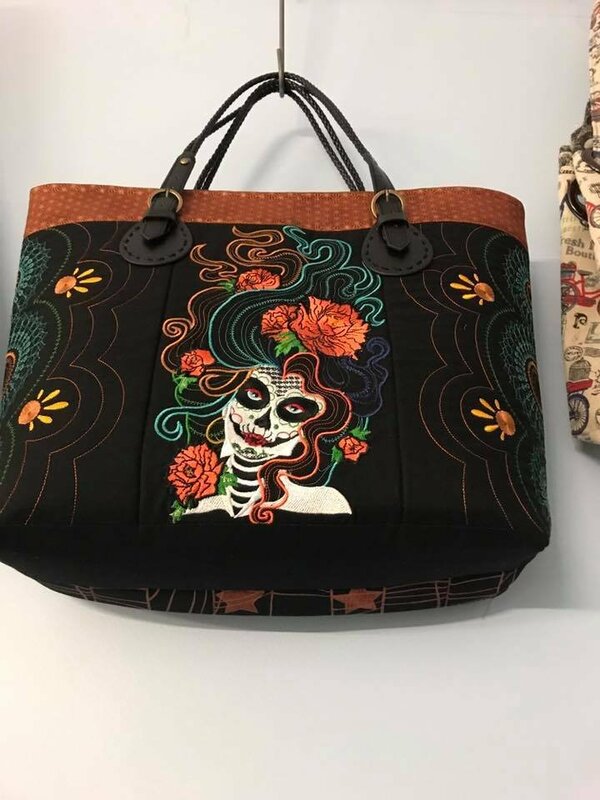 Who can resist the beautiful color combinations people are stitching into these sugar skull creations. In this design, we will embroider and assemble a computer bag, or make it a box bottom tote if you prefer. Use you imagination when choosing the colors for your project and it will come to life. We will have optional handles and hardware available for sale if you wish to take this one up a notch. Inside will be fully lined and we will discuss how to add a pocket or two.